The incident occurred between 4pm and 5pm on Monday at Watson Road Park in South Shore. The 30-year-old victim had been walking through the park when she was approached by a man, who attempted to sexually assault her. However, two members of the public arrived on the scene, causing him to flee. Police would now like to trace the members of the public as they may have witnessed all or part of the incident, and may be able to help with their enquiries. Officers don’t have a description for them, other than one was male and one was female, it is thought they were walking a dog and that they stopped to assist the victim. 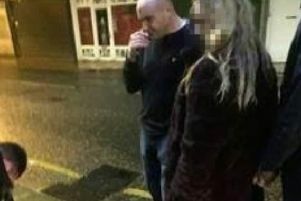 DC Dave Little, of Blackpool Police, said: “We are in the very early stages of our enquiries and would like to trace this couple as a matter of urgency. We would ask that if you know who they may be, or indeed if you are one of them, that you get in touch with us as soon as possible. Anybody with information is asked to contact police on 101, quoting log number 1107 of July 25th.